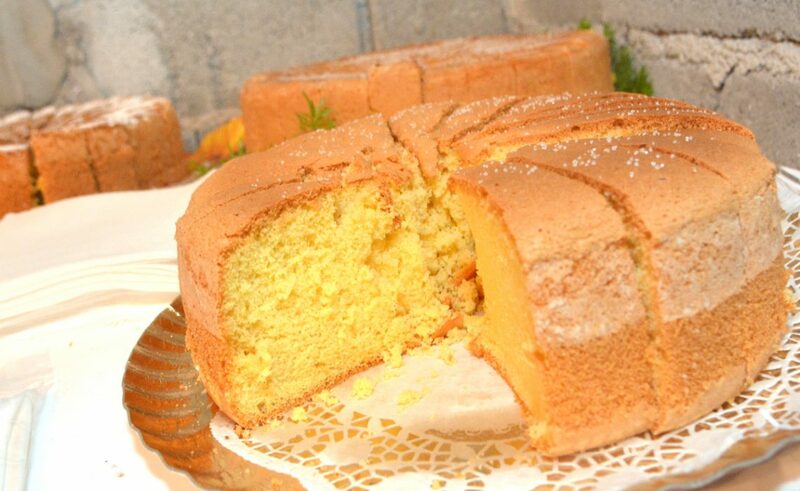 The recipe for Pandišpanj is quite simple, however it’s not that easy for the cake to turn out as it should. With this cake it’s important to be gentle and careful, mixing slowly and gently until it’s time to pour in the tin. Before the days of mixers a ‘man’s hand’ was generally required for the task of whisking the sugar and eggs together so make the most of yours if there’s no one to help. Place the eggs and and sugar in a bowl and mix until the mixture becomes white, thick and compact. When the mixture is light and airy carefully and lightly add the lemon zest, mixing with a wooden spoon. Then mixing lightly, add the flour gently. Grease the cake tin and pour in the mixture. Place in a preheated oven at 160 for an hour. For decoration sprinkle with icing sugar. Try to avoid opening the oven door so that the cake maintains its height and when an hour passes simply turn off the oven and allow the cake to cool down in the tin.